I have been having so much fun with My Favorite Things "Circle Scribble Flowers". Lawn Fawn's Grass die and Scripty Sayings. 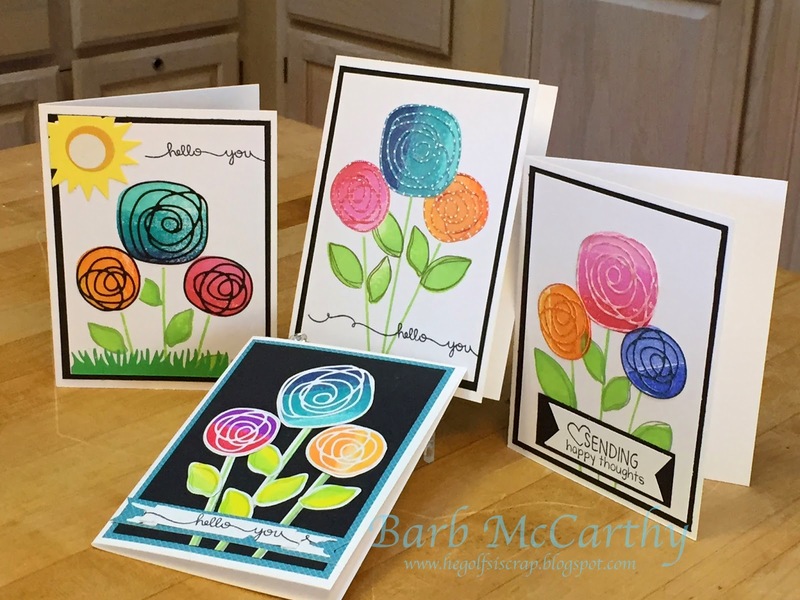 A wonderful array of cards, BeeJay - the scribble flowers are so appealing! Thanks for joining us this week at the Simon Says Stamp Wednesday challenge! Such pretty cards! The colorful blossoms look fantastic! Thanks for joining along with the Simon Says Stamp Monday challenge! This is what Swagger looks like! Playing along with My Favorite Stamps Shakers!